Numero Uno Web Solutions (NumeroUnoWeb.com), a fast-growing Internet marketing firm that caters to medium and large-sized Business-to-Business (B2B) and Business-to-Consumer (B2C) companies, is weighing in on rising Canadian retail sales and how online marketing campaigns can maximize online sales. Libarian explains that the Internet can only be a successful retail platform if a consumer finds the merchant’s website on search engines like Google and Bing. Having a dedicated online marketing strategy is essential for brands looking to increase shares and grow profitability. According to Libarian, it doesn’t matter how great a website looks, if it isn’t easy to find online, it won’t translate into sales. Numero Uno Web Solutions, is one of the top Internet marketing firms due to its constant innovation and overall customer satisfaction. 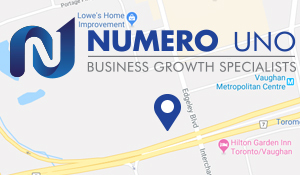 For more information on Numero Uno Web Solutions, and to discover how the company can help maximize a company’s search engine optimization and online presence, visit https://numerounoweb.com. Or call Numero Uno Web Solutions toll free at 1-855-SEO-XPRT (1-855-736-9778).